A family is in crisis; with two teenage boys at home, the husband lost his job so the wife becomes the breadwinner. Then the unthinkable happens and the wife is struck with cancer. The family was already having difficult times before this happened. One of the HPS members stepped in to help provide feed for this little 21-year-old Arabian. He had started gaining some weight but, unfortunately, the member was no longer able to afford feed for him (she has her own horses to provide for). Eventually, the wife was back in the hospital and the family still could not afford to care for the horse. Friends and family stepped in and brought the horse to the sanctuary where we could provide for him with hopes of returning him to the wife when she recovered and was able to reimburse costs. 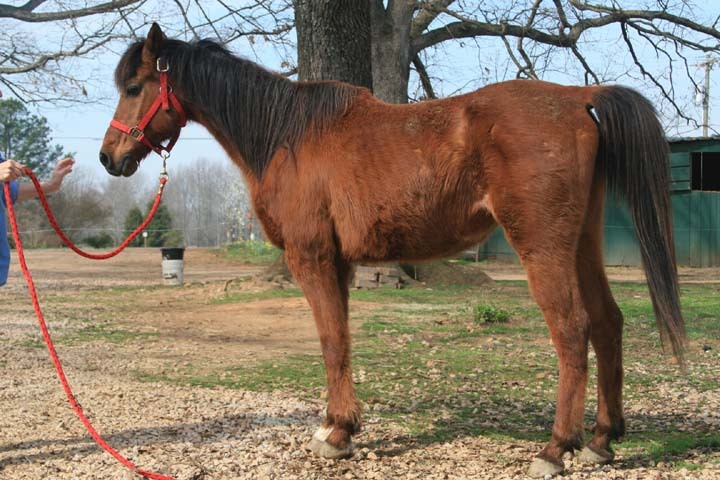 As is customary with starved horses that arrive at the sanctuary, full blood panels were done with the expected results. De-worming, dental work, and hoof trimming were done. The dental and de-worming made a big difference in helping him to gain his weight back. Diego upon arrival, Feb 2009. Diego's owner's cancer returned, and the family was not able to support him financially. He is now available for placement. We worked slowly with him to develop and strengthen muscle. 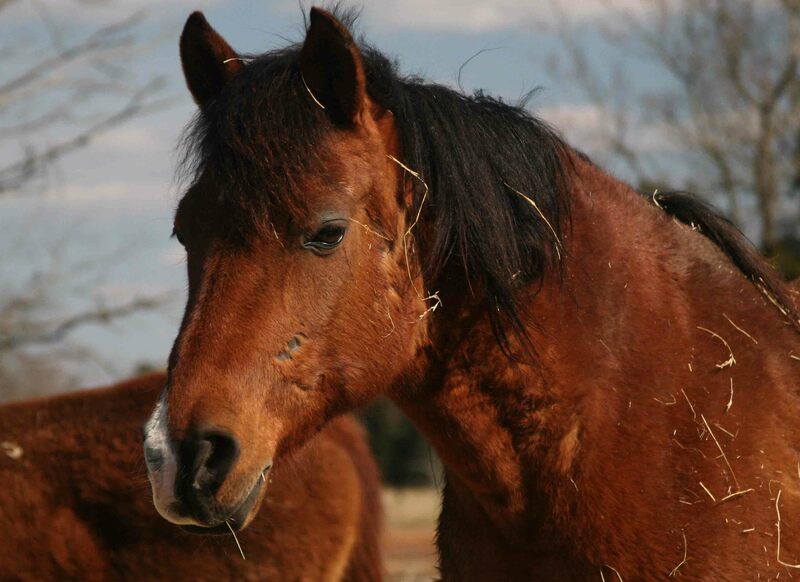 Diego is trained English and is a very quiet and gentle horse that would be appropriate for beginners or children. 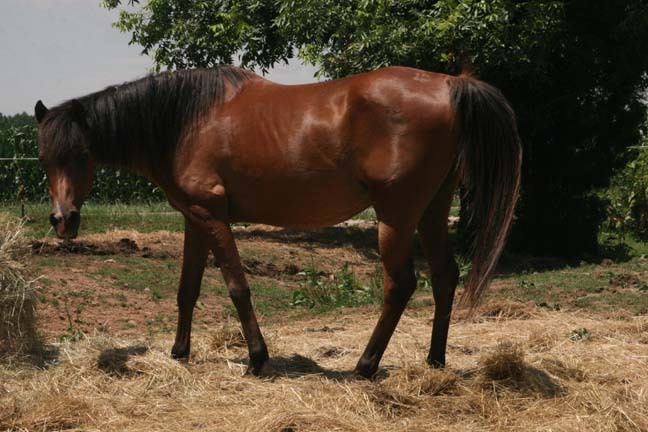 He has excellent ground manners, leads, loads, stands for the farrier, and tacks up quietly. If you are interested in Diego, please contact the sanctuary.